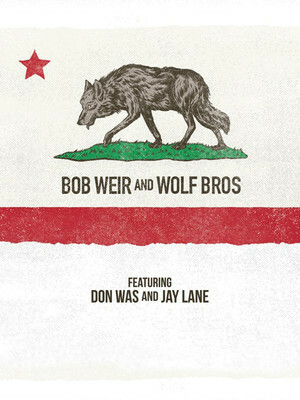 Bob Weir joins forces with Don Was and Jay Lane! Don't miss Bob Weir as he joins forces with legendary musician Don Was and drummer Jay Lane once again for an exploration of The Grateful Dead's back catalog and more! Weir is best known for being the founding members of Grateful Dead. 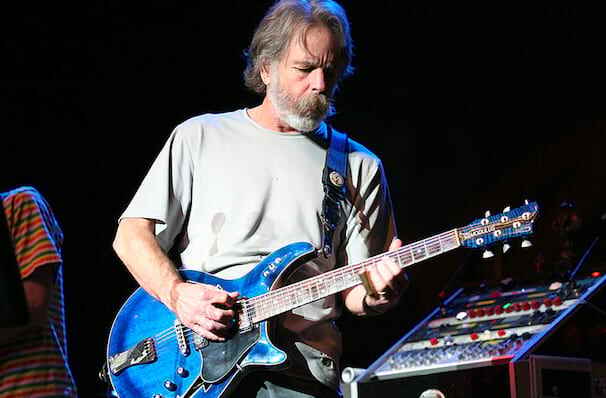 After the band went their separate ways in 1995, Weir began performing with the Other Ones, later known as The Dead, with saw Weir sharing the stage with other former members of the Grateful Dead. Since then, Weir has founded and performed with several other bands. There's no slowing this icon down, see Bob Weir and the Wolf Brothers when they come to a town near you. Seen Bob Weir? Loved it? Hated it? Sound good to you? Share this page on social media and let your friends know about Bob Weir at Toyota Oakdale Theatre. Please note: The term Toyota Oakdale Theatre and/or Bob Weir as well as all associated graphics, logos, and/or other trademarks, tradenames or copyrights are the property of the Toyota Oakdale Theatre and/or Bob Weir and are used herein for factual descriptive purposes only. We are in no way associated with or authorized by the Toyota Oakdale Theatre and/or Bob Weir and neither that entity nor any of its affiliates have licensed or endorsed us to sell tickets, goods and or services in conjunction with their events.